Nowadays, music has never been so accessible, with all kinds of genres and artists available at a few taps in a search bar. However, while music is so readily available, not many people realize the benefits that music can have on their lives, especially when it comes to stress. Stress has become an epidemic in our modern-day world and is the leading disability, and reason people are off from work sick. Stress is also extremely harmful to our bodies and minds and regularly leads to serious conditions, such as anxiety and depression. Today, we’re going explore the benefits that music can provide to help you deal with these levels of stress, helping you become a happier You and live the life you want to live. Meditation is renowned for being one of the most popular and most effective practices you can enjoy and partake in to reduce the levels of stress in your life. Meditation music is widely available, meaning you can meditate and find the present moment, regardless of where you are or what you’re doing. However, even if meditation isn’t your ‘thing’, you can still listen to the meditation music that’s available, helping you to reduce stress in a stressful situation, or relax after a long day. Music has always been associated with emotions, and you’ll know better than anyone which songs in your favorite playlist or CDs make you smile and laugh. Whether it’s a funny song or the track takes you back to a time that you can associate with a fond memory, there’s a track for every occasion. So, when you’re feeling stressed out or a bit under the weather, why not explore some of these tunes? Just plug in your headphones and start listening! These tracks can instantly elevate your mood, helping you to smile and wash away the stresses that are playing on your mind. There are countless studies and claims that prove that listening to music to help to reduce the levels of anxiety in your being. Anxiety, one of the most common, and most devastating, of all mental conditions, has become somewhat of an epidemic in modern-day society. And, as most of the known, anxiety is caused by enormous amounts of stress. This is because stress builds up and up and, if left untreated or unaddressed, results in us becoming anxious about certain situations. However, by lowering our stress levels through listening to music, we can ultimately reduce the anxiety we suffer in our everyday lives. And you can do this anywhere, even while driving your car. Simply fire up the subwoofer and let music take care of your anxiety when you’re stuck in traffic. Do you constantly feel stressed out when you’re looking at your in-tray or your to-do list and never seems to be getting any smaller, making you feel as though you’re stuck in a working rut? Don’t worry; you’re not alone. However, it’s worth remembering that the time you spend worrying about your workloads could be invested into actually getting the work done, which means we need something to boost our concentration. 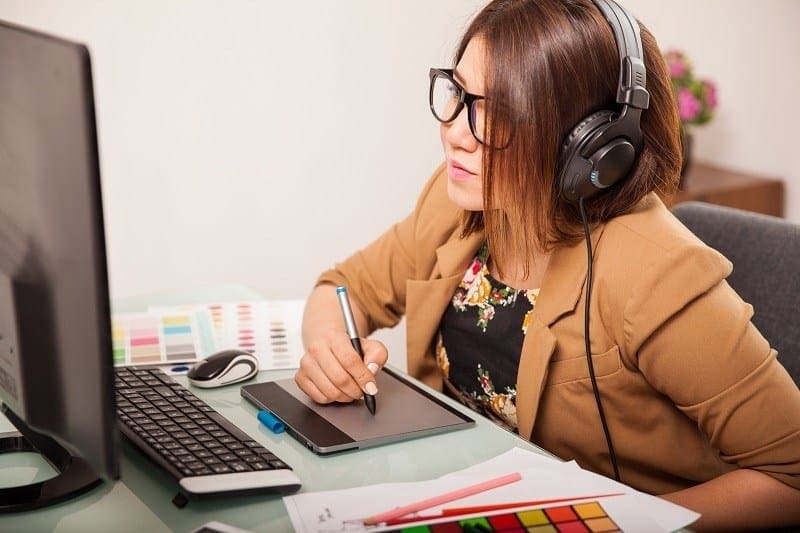 Studies have already proven time and time again that listening to the right kind of music can boost our productivity and concentration, allowing you to get on with your work, smash through your to-do list, and ultimately become less stressed. When you’re ill or feeling sick, it’s only natural that you’re going to feel stressed out about it. In addition to feeling unwell, it’s not uncommon to feel stressed out about the things that you’re missing or now don’t have time to do, such as running errands, going to work or spending time with your loved ones. However, it’s worth remembering that researchers have found that listening to music can actually boost your immune system and its internal functions. In fact, listening to just 50 minutes of dance music, of all music, can increase your body’s production of antibodies, helping you get better! Hand in hand with the point above, if you’re in pain, it’s also not uncommon to feel stressed, for the same reasons of not being able to do the things you want to do and the fact that you’re in pain. This could be both physical or emotional pain. However, studies have shown that physical and emotional pain can be reduced simply by listening to music. 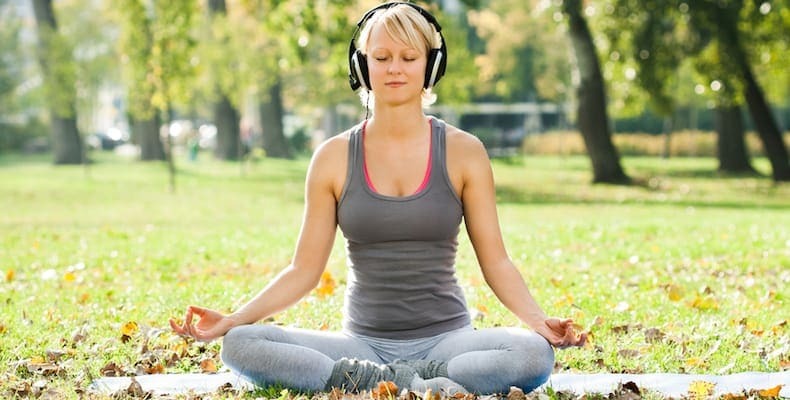 While more research remains to prove exactly how this works, listening to calmer music that stimulates your brain has been shown time and time again to reduce the body’s pain, therefore, reducing your stress levels. 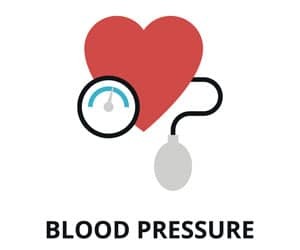 Both a symptom and a cause of high-stress levels are high-blood pressure. These high, stress-causing levels can be the result of several aspects, including lifestyle decisions, such as smoking or diet, or things that are out of your control, such as intense situations or arguments with other people. When you’re feeling stressed out and as though your heart is pumping too fast, why not play some classical music or a genre of music that you find relaxing. This is sure to bring your heart rate down and get your blood pressure down to a normal speed. Is your day getting you down? Perhaps you’ve been overloaded with work, or things haven’t been going your way, and you’re feeling run down and exhausted. If you’re feeling like this, then it’s only natural that you’re feeling stressed. While there are loads of ways to relax after a day like this, listening to music has to be one of the best. You don’t even need to listen to anything relaxing! Simply pick your favorite genre (even if it’s heavy metal involving the constant thuds of double bass drums! ), run yourself a bath, make a cup of tea or pick up your favorite book and you’ll be well on your way to feeling your typical, happy self! While depression is easily one of the most common and most crippling of all mental conditions, there’s no reason why you have to live your life this way. While medication and treatments exist to combat these horrible symptoms, listening to music can be just, if not more, effective! Science has proven that listening to certain types of music, or even attending music therapy classes, is a great way to reduce the effects of depression, allowing you to get on with your day as your normal happy self. Whether you’re at work, hitting the gym or even working on a personal project, you’re not alone when it comes to staying focused on what you’re doing. Our minds have a nasty habit of wandering off into thinking about other things, rather than the task we’re currently trying to complete. However, listening to music is a great way to anchor yourself to the present moment, allowing you to actually enjoy what you’re doing, regardless of how tedious it is, helping you to remain focused, present and overall happy! Life is full of ups and downs, and it’s often that we find that we’re not in touch with our emotions. For many of us, we can feel happy for seemingly no reason, just as often as we can find ourselves feeling sad. This detachment from our emotions is only going to cause us confusion and, therefore, stress, which is only going to have a negative impact on our lives. We all know that listening to different songs and artists can make us feel happy and sad, so when you’re feeling out of touch, try listening to some different genres of music to start understanding how you feel, allowing you to become in sync with your mind and body. If your sleeping pattern is messed up, you’re not getting enough sleep or feeling the effects of sleep deprivation already; you’ll know how stressful this can make you feel in your day-to-day life. However, listening to music could provide the answer you’ve been looking for. If you’re having trouble sleeping, try listening to some soothing, calming music before, or as you go to bed. In fact, there is a wealth of online tracks and playlists which are designed to help you get a better night’s sleep, allowing you to drift away softly and sweetly, so you’re fully charged and ready for the next day. Sometimes, life can be so hard or stressful that all you need to do to unwind is to let all your stress vent out of your body, so you can be free with a clear mind. Sometimes, you simply won’t be in the mood for calming and relaxing music. Whether you’re a fan of rock music, heavy metal music, chart toppers, soulful keyboard melodies or bass-heavy dance music, loading up your favorite playlist and having a little boogie while you’re dancing around your house or carrying out your errands can be a great way to let go of all the stress inside you, allowing your mind and body to breath. 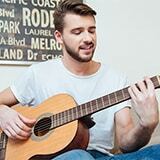 As you can see, there are so many ways in which music can help you relax, calm down and de-stress your life. While stress is such a common epidemic in this modern-era, that doesn’t mean that it’s right or that you have to live that way. Music has always had such a huge and versatile role to play in our society. The concept of music has been about for several millenniums and has been a part of cultures across the world spanning all eras. Listening to music can provide many of the answers and solutions you’re looking for, allowing you to live the life you want to live. So, what are you waiting for? Load up your favorite playlist and embrace life with all the beauty that you know it holds! Hi! So, I’m doing a project and I tried to print this off. Unfortunately, the end cut off in the process. Is there a way to fix that? Hi, I’m not entirely sure, but you can try saving the webpage (take it offline) and then print the resulting .html file.